You may be shaking your head in disbelief, but meditation can be a great weight loss tool. It’s not about thinking yourself thin! 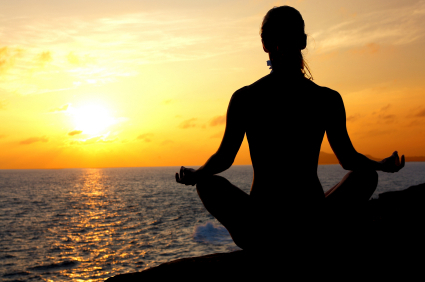 Meditation can actually help you lose weight by reducing your stress levels. For a lot of people, stress leads to emotional eating, which then leads to weight gain. Unfortunately, it’s not always possible to get rid of all those day-to-day stresses. There are so many things to take care of! Practise makes perfect. This is true of a lot of things, including meditation. While it may be difficult to calm your mind at first, you need to stick with it. Over time, the process will become easier. You may even find that you look forward to that time to yourself! Make sure that you give yourself fifteen minutes each and every day. Sticking with it will help your practise to grow stronger. There is nothing worse than getting out of bed feeling tired, sluggish, and unhappy. Avoid that by doing a morning meditation as soon as you get up. It doesn’t have to be very long. Five to ten minutes will be more than enough. The most important thing is to take time to put yourself first. You may want to clear your mind completely…or if you are still getting used to the act of meditation, just sit and reflect on your goals for the day. Setting the right mood is important. In order to reach a calmer state of mind, you need to have calming elements around you. There are many ways that you can do this. Sit on a pillow for added relaxation, light a scented candle, or play some instrumental music in the background. It’s all about finding what works for you! Most of the time we are in control of something or are trying to be in control of something. That is the great thing about experiencing meditation. Instead of constantly worrying about control, power, and responsibilities, the key focus is to let go. Take all of those worries and stresses and release them. If a thought pops into your head, say something like “I surrender this thought…” and continue on with your meditation. Learning to let go can help you relax further and improve your overall experience. Losing weight isn’t just about what you look like on the outside. It’s also about looking inward and finding peace. Meditation allows you to better connect to your body and open your mind to a new way of thinking. It may be a different approach, but it can benefit both your mind and body.